Only a few minutes’ walk away from the noise of Shibuya, Ito Bar comes up trumps for cheapo fish fanciers. The “Ito” in Ito Bar refers to the fishing town in the nearby Izu Peninsula from which much of this restaurant’s catch is supplied. 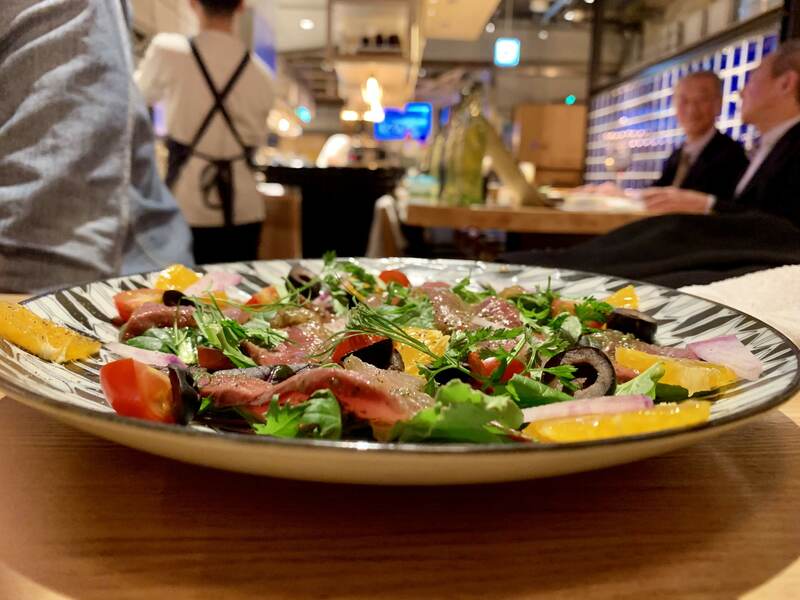 The menu features excellent fresh fish (sashimi, BBQ, takikomi gohan and more), coupled with a nice selection salads/tapas—all very well priced. We spent just over ¥3,000 per head for a hearty meal and drinks. Cheapo tip: order the Takikomi gohan with the “ochatsuke” extra — a filling grilled fish and pot rice dish, with bonus fish dashi soup that you can add at the end if you’re still hungry. Only ¥1,500 and guaranteed to fill you up.